It’s National Forest Week in Canada and the sector is celebrating: FPAC’s press release highlights jobs, sustainable forest management and fighting climate change; the CIF awarded Ken Day (recently retired from the UBC Alex Fraser Research Forest) with their Canadian Forestry Achievement Award; BC Timber Sales salutes forests as Canada’s Living Laboratory; the Forest Enhancement Society of BC awarded a grant to aide fire management at Baldy Mountain Resort, and FPInnovations is working with New Zealand to expand steep slope harvesting. The good news from Northern BC is that Skeena Sawmills is adding value to the area’s forests by opening a pellet plant fed by waste from their other sawmills. The bad news is that talks between 13 northern sawmills and the union have gone to mediation. There’s a new face at the helm of the World Forestry Center in Portland – warm welcome to Joseph Furia; increased pressure on the clothing sector is driving more research into fibres made from sustainably managed forests; and lastly, zooming in on wildfire pollution – a close up look at what’s going into your lungs. Talks between workers and employers at 13 northern B.C. sawmills and the employers’ bargaining agent have gone to mediation. The bargaining committee began the process with the Labour Relation Board on Monday, according to a posting on the United Steelworkers Local 1-2017 website. The local also had some words for Conifer… only to be served notice on Wednesday that Conifer had applied to bring in a mediator. “What is truly concerning is Conifer’s unwavering position that their concessionary agenda must be addressed,” the union continued. It said Conifer is offering a six-year contract with “pathetic” wage increases ranging from 0.5 to 1.5 per cent and a new hire rate starting at 85 per cent of the job rate. …A Conifer representative has said the agency will not be talking to media before a contract has been ratified. 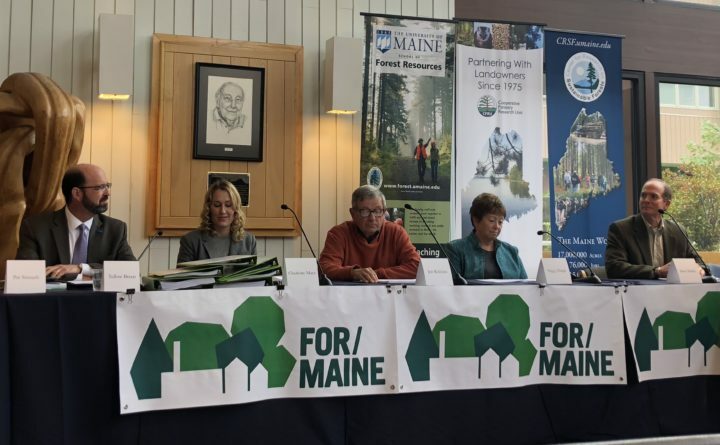 Maine’s forest industry could enter a “second golden age” if it invests in making a diverse array of timber products, extending beyond the traditional building materials that once buoyed the state’s economy, an industry group said Tuesday. FOR/Maine, a coalition of people who have spent the past two years studying the industry’s future, outlined a blueprint Tuesday to help it rebound. The panel of industry players and researchers hope their five-point plan will steer the once-prosperous industry to grow 40 percent over the next six years — from $8.5 billion to $12 billion by 2025. The ambitious proposal, unveiled at the University of Maine’s School of Forest Resources, calls for a coordinated effort of both private and public partners to make major investments in a combination of traditional and innovative wood products, in an effort to reimagine the potential of Maine’s vast forest resources and replace income from a dying paper manufacturing economy. When you hear the term wood-frame construction, you think ‘houses’, and the use of wood has been all but phased out from commercial buildings over the years. Now however, with the use of advanced Cross-Laminated Timber, ‘CLT’ construction, the use of wood for larger buildings is at the beginning of a resurgence. 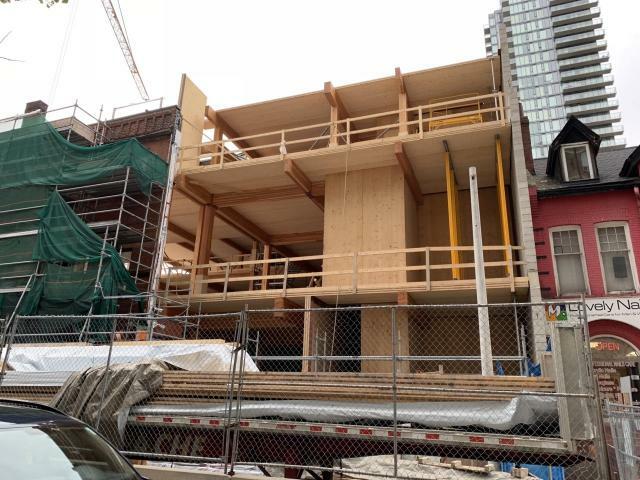 Two wood-framed projects currently being built in Toronto, but several more are on the horizon. Just south of the Yonge and Bloor intersection, a heritage building at 728 Yonge Street is being reconstructed with a timber structural skeleton, behind 1889-through-1892-built facades, while also adding new modern frontages to the south and west. Spain’s Ministry of Agriculture, Fisheries and Food (MAPAMA) has created an operating group focused on improving the traceability and efficiency of the wood supply using blockchain technology. Called ChainWood, the operating group is comprised of eight partners from different Spanish regions, including Galicia, the Community of Madrid, Andalusia, Castilla y León, and Asturias. The group was funded by MAPAMA, the Directorate General for Development Rural and Forest Policy, and the General State Administration. ChainWood aims to solve the limitations presented by the different wood supply chains in Spain, which makes it difficult to modernize and improve efficiency and access to information. ChainWood has already held working meetings in Santiago de Compostela and Madrid to develop a cloud-based software that will apply blockchain, big data, and machine learning to improve the transparency and flow of information throughout the supply chain. The shift from fossil-based industries to a bioeconomy is creating a growing demand for biobased chemicals, materials and fuels as sustainable and renewable alternatives. One possible source is fructose from wood for use in the production of bioplastics. Lignocellulosic biomass is typically nonedible plant material, including dedicated crops of wood and grass, as well as waste material from agroforestry. It is also the single most abundant renewable resource on earth and available all year round. Furthermore, lignocellulosic biomass does not need valuable space in fields as it has no agricultural or nutritional use. It’s noteworthy, that wood can be harvested sustainably from certified forests. In the Nordic countries, more forest is grown than gets harvested each year. Teijin Ltd. (Tokyo, Japan) announced Sept. 25 that it will construct the world’s first building made of advanced fiber-reinforced wood (AFRW), a structural timber product comprising a number of layers of dimensioned timber and high-performance fibers bonded together with structural adhesives. Teijin first developed the materials in 2015, which involved incorporating high-toughness aramid fibers and highly stiff carbon fiber, and hybrid materials incorporating these fibers. The new building, which will be constructed in Teijin’s Tokyo Research Center in Hino City, exploits the warm texture and unique timber composition of AFRW to help create a stress-free environment. It also aims to realize open and comfortable space by avoiding the use of columns, thus maximizing the inflow of natural light. About one-third or roughly 3.5 million square kilometres of our country is made up of forest, more than nearly any other country on earth. National Forest Week (September 23-29) provides an opportunity to recognize how Canada’s forest sector has become an international model for sustainable forest management, conservation, and fighting climate change – not to mention an important economic driver with 230,000 direct, family-supporting jobs across the country. …This week, during National Forest Week, it’s important to recognize the people who work in our forests every day to keep them healthy for generations to come; how our forests are a critical resource in our collective fight against climate change, and; support how ‘Made in Canada’ forestry provides not only real environmental benefits, but also family-paying jobs for hundreds of thousands of workers in rural, northern, and Indigenous communities across our country. Happy National Forest Week, Canada! The Kamloops This Week paper carried an insert this week celebrating forestry in BC. Stories include a message from FPAC, the Government of BC, the Association of BC Forest Professionals, Forsite Consultants and more. The insert is only available online in ISSUU – take a look. BC Timber Sales (BCTS) is a supporter of National Forest Week, which takes place from Sept. 23-29 this year. This year’s theme, Research Forests: Canada’s Living Laboratories, highlights the importance of forest research for continued knowledge of climate change, biodiversity and forest management. As a self-financing program within the Ministry of Forests, Lands, Natural Resource Operations and Rural Development, BCTS’s primary role is to manage the harvesting and reforestation of a significant portion of the timber in British Columbia’s provincial forest. Research is fundamental to every aspect of BCTS’s planning and operations. Forest management issues, climate change impacts, species at risk considerations and cumulative effects are a few of the research areas on which BCTS focuses. BCTS also is working on projects to improve marten habitat, the conservation and colonization of rare lichens, and the conservation of northern goshawk breeding and forage territories. A Williams Lake professional forester received national recognition this week from the Canadian Institute of Forestry. Ken Day, who retired in April after 31 years as the manager of the UBC Alex Fraser Research Forest in Williams Lake, was presented the CIF Canadian Forestry Achievement Award Tuesday evening at the institute’s Awards Banquet in Grande Prairie, Alta. The Canadian Forestry Achievement Award recognizes unique and outstanding achievement in forestry in Canada with the objective of encouraging excellence in the forestry profession. “It’s a great honour,” Day said. “I looked at the list of previous award winners and having my name added to that is pretty humbling.” Day, who graduated from Lakehead University in Thunder Bay, Ont., began with the research forest at its inception in 1987. The District of Sechelt says more than 500 people took part in the community engagement on the future direction of the Sunshine Coast Community Forest (SCCF). …SCCF logging has been a flashpoint for controversy several times since Sechelt was granted a community forest licence by the province in 2006. …Sechelt’s communications manager, Julie Rogers, told council that the response to the engagement, which began on July 1, was “huge” and included a lot of thoughtful comments. …Rogers said the common themes that emerged were the need for more community education and involvement, a desire to ensure better environmental protections, and a need to leverage opportunities for local economic development and job creation through operations and through the Legacy Fund. Work has started on the landscape around Baldy Mountain Resort to create a fuel break to decrease the opportunity for wildfire behaviour. The estimated six to eight week project is concentrated on a 350 to 400-metre-wide horseshoe shaped band surrounding Baldy Mountain Resort, the community and the resort’s future sub-divisions. Work is being done to increase spacing between tree crowns and decreasing surface fuel loading on the forest floor so if/when a fire enters the fuel break, it is lower in intensity allowing firefighters to have a better chance at battling it successfully. …Baldy Mountain Resort applied for a FESBC grant a few years prior, which was accepted and has led to the decision to move ahead to develop the fire break. Oliver, BC—Baldy Mountain Resort, alongside Osoyoos Indian Band, the Mountain Resorts Branch, Forest Enhancement Society of BC (FESBC), and wildfire management specialists at Davies Wildfire Management have started work on a landscape level fire management project. The project is a fuel break entailing a 350 to 400-metre-wide horseshoe shaped band surrounding Baldy Mountain Resort, the community, and the resort’s future sub-divisions. The main objective of the project is to decrease the opportunity for wildfire behaviour in the fuel break by increasing spacing between tree crowns and decreasing surface fuel loading on the forest floor so if/when a fire enters the fuel break, it is lower in intensity allowing firefighters to have a better chance at battling it successfully. The project is not a clear cutting of the stands, but rather a thinning of trees in a patch format i.e. leaving islands of trees. Montreal – FPInnovations is pleased to announce the renewal of a memorandum of understanding (MOU) with Forest Growers Research (FGR) of New Zealand to widen the scope of their information exchange in the area of steep slope harvesting, and to facilitate the international exchange of their combined research. FPInnovations and FGR are mutually interested in forest technology and will share expertise in cooperative research, development, and application activities for specific projects agreed upon by both groups. The MOU will also allow both parties to share in the transfer of information and technology through cooperative demonstration projects and symposia, encourage the exchange of research personnel, and prepare joint reports where possible. Common research areas for information exchange between FPInnovations and FGR include the environmental sustainability of harvesting operations, steep slope machine stability, steep slope road and landing construction, and soil disturbance in steep slope harvesting. The Waste to Wisdom research project, a four-year effort that completed at the end of 2017, recently received approval on its final report and project deliverables. Waste to Wisdom built on existing research on the conversion of forest residues into renewable fuel and other valuable bio-based products. Forest residues refers to limbs, treetops and other waste materials left on the forest floor after timber harvesting, which are not effectively utilized but can potentially be a major source of bioenergy. Waste to Wisdom’s final report and project deliverables are available for viewing on the project’s Final Reports webpage. 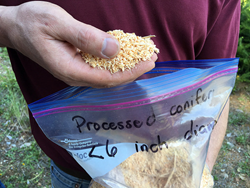 …The effort was funded by a $5.88 million grant from the U.S. Department of Energy to conduct innovative biomass research and was part of the Biomass Research and Development Initiative. Taking a step in tandem with the U.S. Forest Service, Gov. Steve Bullock announced an update of his Forests in Focus Initiative to get more work done in the Montana woods. “Insects and disease, wildfire, smoke and drought don’t recognize ownership boundaries,” Bullock said in a conference call with reporters on Monday. …Bullock credited the initial Forests In Focus program with treating more than 300,000 acres of forest land, producing almost 190 million board-feet of timber and retaining 3,000 jobs since it started in 2014. The new version will mesh with the Forest Service’s national “Shared Stewardship” strategy announced last month. The goal of both the state and federal efforts is to speed up and increase timber harvest, hazardous fuels reduction, and landscape restoration work. Research published in Nature last week finds that “hydraulically diverse” forests are particularly resilient in the face of drought, which could help inform strategies for restoring forests after they’ve been degraded by wildfires or logging. University of Utah biologist William Anderegg led a team of researchers who compiled data from 40 temperate and boreal forest sites around the globe that were equipped with instruments to measure the carbon, water, and energy flowing in and out of the forests in order to examine the impacts of droughts. 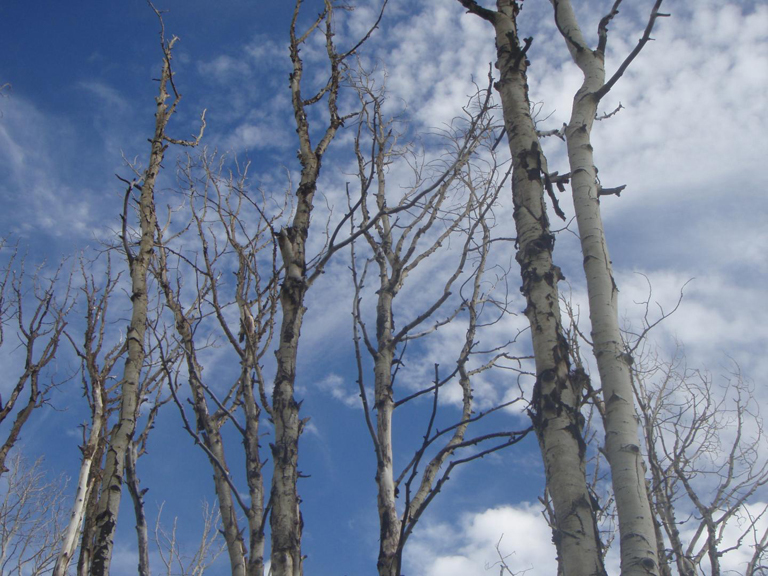 The team combined that data with information on the tree species present at each study site and the hydraulic traits of those species to determine that forests with trees that possess a highly diverse set of traits related to water use are impacted less severely by drought. The demand for clothing is growing, and there is increasing pressure on the fashion industry to produce sustainable and recyclable items as an alternative to traditional textiles. A clear way forward, maintains the PEFC, is to increase the use of fibres from sustainably managed forests. Hannah Price, PEFC international communications officer reports. The ‘Forests for Fashion’ initiative is a joint project by PEFC (Programme for the Endorsement of Forest Certifi cation), UNECE (United Nations Economic Commission for Europe) and FAO (Food and Agriculture Organisation). Its aim is to increase the value of forests, ensuring their long-term maintenance for the benefit of all stakeholders, as well as to unlock new markets for sustainable timber and contribute to the fashion industry’s objective to become sustainable. 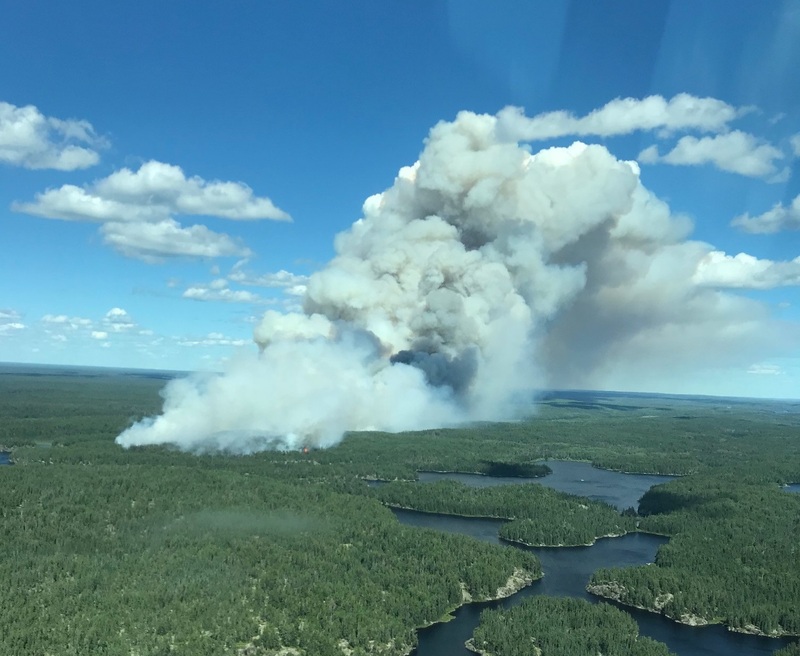 DRYDEN, ON — Wildfires have destroyed about 200,000 hectares of northwestern Ontario forest so far this fire season. That is more than three times the amount of forest that was burned across the region last year. Data obtained by Tbnewswatch from the Ministry of Natural Resources and Forestry shows that as of Sept. 20, the total damaged area this season was 198,626 hectares. By contrast, only 63,400 hectares of forest was burned last year. The 2018 fire damage is the second worst in the northwest in the past 15 years. Since 2004, the region’s only worse fire season was in 2011, when 632,000 hectares went up in smoke. A comparable number of fires occurred in the northwest that year (908 vs. 838 so far this year) but the destruction in 2011 was significantly more extensive. A panel of Redding firefighters recalled first-hand Saturday how they fought the Carr Fire as best they could and apologized for not being able to save more homes from the unrelenting inferno. Two months removed from the start of what became the sixth most destructive fire in state history — and the worst-ever natural disaster in Shasta County — Redding Professional Firefighters Local 1934 hosted what it called a community debriefing at the United Public Employees of California building off Park Marina Drive. The five firefighters shared their experiences the evening of July 26 when the encroaching blaze destroyed 261 homes in west Redding subdivisions. They also answered questions from residents, some of whom told their own stories of harrowing escapes and losses they experienced. Climate change is heating up national parks much faster than the rest of the U.S. That’s according to a first-of-its-kind study that looked all 417 national parks, including those in the Pacific Northwest. 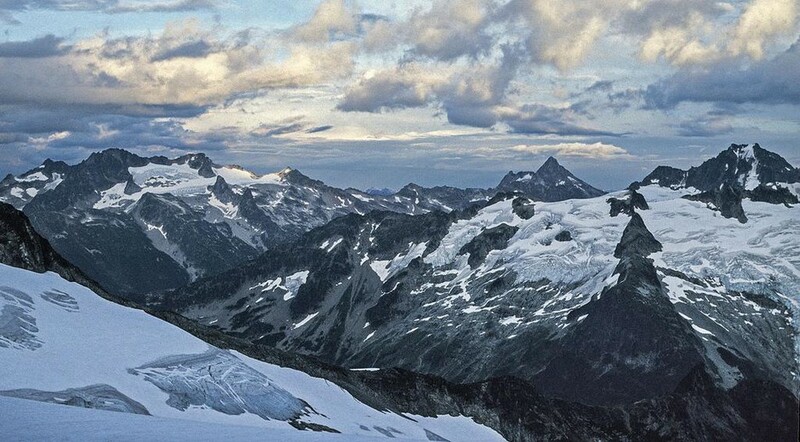 The study found that national parks are especially hard hit by climate change, in part, because of their locations at high elevations, in arid deserts or Arctic zones, said Patrick Gonzalez, study co-author and climate change scientist at the University of California, Berkeley. …The researchers found that, historically, temperatures in national parks increased at double the rate of the rest of the country. They also found participation decreased more rapidly in many national parks than other parts of the U.S. …Looking forward, if emissions stay the way they are now, that could mean average temperatures in the most vulnerable national parks could increase by 16 degrees Fahrenheit by 2100, according to the study. A high-powered microscope in a U.S. university has provided a disturbing close-up look at the pollution from the worst wildfire season in B.C. history. During the height of the forest fire season… a researcher at the University of Western Washington in Bellingham decided to take a closer look at the particles people were breathing in. In August, when the pollution from the burning B.C. forests drifted into Washington state, Dr. Mike Kraft, a research associate at Western Washington University (WWU), collected some samples and ran them through the university’s new Scanning Electron Microscope (SEM). At the time, there were advisories on both sides of the border for people with chronic medical conditions. …Air in Whatcom County was rated “hazardous” for particulates. Metro Vancouver air quality was rated worse than Los Angels and Beijing.